Welcome to the website of Michael Lipton. He is Emeritus Professor of Economics at Sussex University, Emeritus Fellow of the Institute of Development Studies (IDS), and a Fellow of the British Academy. His books include Why People Stay Poor: Urban Bias and World Development (1977), New Seeds and Poor People (1989, with Richard Longhurst) and Land Reform in Developing Countries: Property Rights and Property Wrongs (2009). See also Land Reform in Developing Countries: contents, reviews, how to get it. He has published many journal articles (see “Papers“). He has been Professor of Development Economics at the Poverty Research Unit since 1994. Prior to this, he was a Professorial Fellow of the Institute of Development Studies at Sussex University (1967-94), Fellow of All Souls College, Oxford (1961-8, 1982-4). He also served as a Program Director of the Food Consumption and Nutrition Program at the International Food Policy Research Institute. As Senior Policy Adviser at the World Bank, he was involved in the Task Force established to study the impact of the World Bank’s activities on poor people. During his 25 years as Fellow of the Institute of Development Studies, Dr. Lipton founded and directed the Village Studies Programme (1971-6), which collated over 3000 primary surveys and produced books on “why villages differ” in nutrition, migration and labour use. He was Lead Scholar for the Rural Poverty Report of the International Fund for Agricultural Development (2001-2), working at Sussex University with the Poverty Research Unit, which he founded in 1994, and which has contributed to reports from the United Nations, World Bank and the Asian Development Bank. He has conducted fieldwork mainly in India (starting with eight months in Kavathe village, near Satara, Maharashtra), and in Bangladesh, Botswana, Sierra Leone, Sri Lanka and South Africa. He has been elected to Fellowships of All Souls College, Oxford (1961-8 and 1982-4), Massachucsetts Insttute of Technology (Rockefeller Fellow, 1962-3), the British Academy (2006), and the Stellenbosch Institute of Advanced Studies (2011). 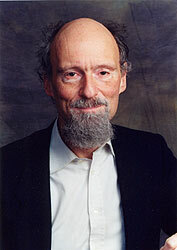 Prof. Lipton holds an MA degree from Oxford University and D. Litt. from the University of Sussex. He has received various awards and distinctions, including the Leontief Prize (2012), the Jenkyns Prize and the George Webb Medley Prize in Economics. He is a current or recent member of the Program Advisory Committee of HarvestPlus (the CGIAR’s biofortification research group), and in the UK on the Boards of the Overseas Development Institute, the Journal of Development Studies and International Development Enterprises. The author of over 150 publications, including eight books, Dr. Lipton has served as an advisor to the World Bank, the United Nations Development Programme, the International Food Policy Research Institute, the International Labor Organization, the Food and Agriculture Organization, the International Fund for Agricultural Development, and the Asian Development Bank and several governments, including Bangladesh, Botswana, India, Sri Lanka, South Africa and the UK (Dept. of International Development). Michael married Merle Lipton in 1966. Merle is Visiting Research Fellow at King’s College, London, and was formerly Associate Fellow at the Royal Institute of International Affairs, Chatham House. Michael and Merle have a son, Emanuel, and a grandson, Joshua. Michael’s interests include chess problems. He has co-authored Chess Problems: Introduction to an Art (Faber, 2002) and The two-move Chess Problem: tradition and development (Faber, 1966) and many articles, mostly in The Problemist. He is a past President of the British Chess Problem Society (2000-2002) and a FIDE International Master of Chess Composition, and has composed over 400 problems, mostly two-movers. Current work: Michael is writing Malthus and Africa, on the population-agriculture interface. In 2015-16 he has been advising the South African Government on land reform.